3.3 out of 5 based on 12 bloggers and 1 commenters. Pratico is a free blogger template adapted from WordPress with 2 columns, responsive design, seo friendly, right sidebar, minimalist, an exclusive design for Blogger, social bookmarking icons, posts thumbnails, pagination, well designed threaded comments, simple look and neutral colors. Excellent template for blogs about to write a diary, news, photography or a personal portfolio site. 1. Heading looks different and I can’t work out how to change the font, colour or size as this is not an option in Layout. 2. The About Me section on right sidebar looks completely different to the one in the picture on the website and there is nowhere to include a photo (photo in circle). The social media buttons aren’t there either. 3. The social media on the sidebar, which I’ve changed headings to Instagram & Twitter, are linking to my accounts but don’t show the feed. 4. Photo at the top of each post (in the little circle), I can’t work out where to include my photo as options are coming up in create page, create post or settings. 5. 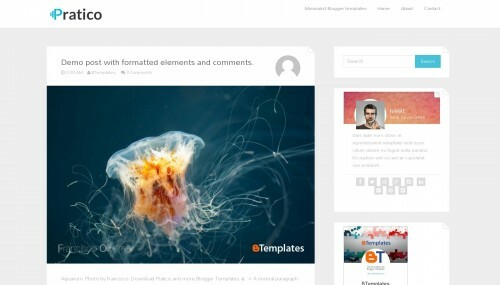 Blogger Templates – what does this feed from? I’m not sure whether to keep or remove. 6. Blogroll – how do I put a hard return (to next line) after each entry? Any assistance or tips you can provide with the above points would be appreciated.